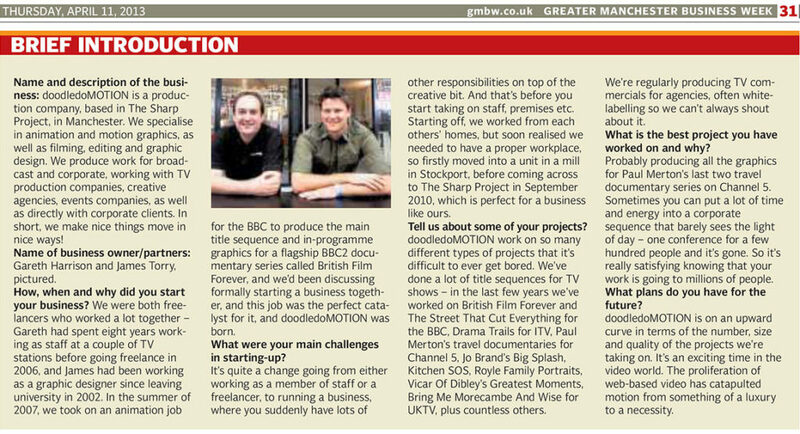 Got a nice little article about doodledoMOTION in this week’s Greater Manchester Business Week in their new feature – ‘Brief Introduction’. Pretty pleased with it, but we really could do with a better publicity photo – this was one the paper took back in 2011 at The Sharp Project official opening! The article is also on the Manchester Evening News website here.